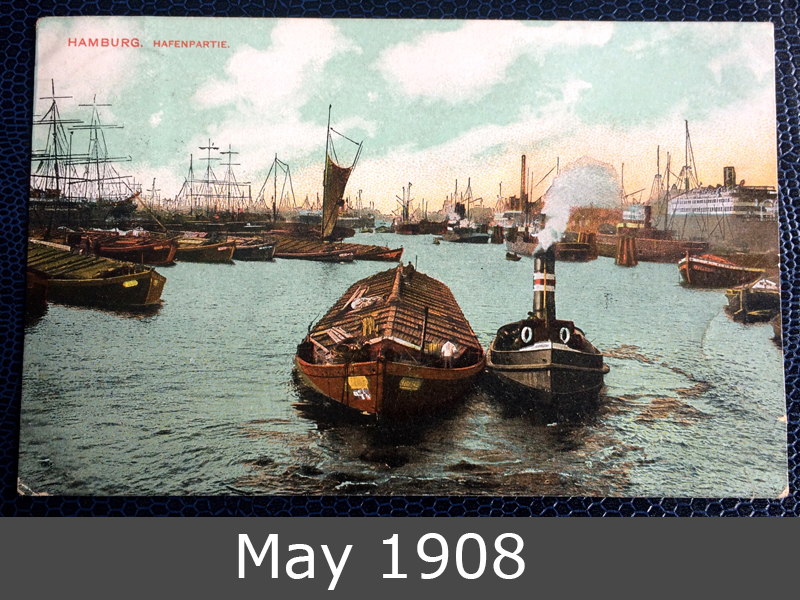 The Hamburg Seaport in May 1908. With a steam pilot boat in front. And a lot of sailing ships in the port. 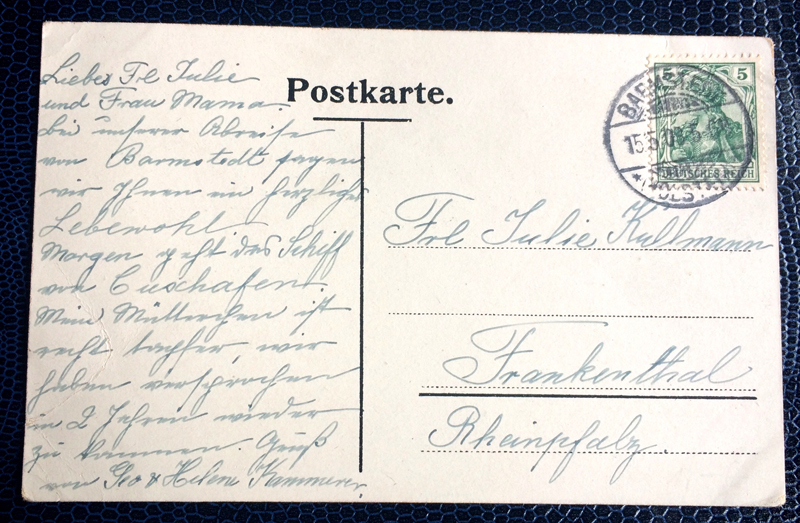 This postcard goes to Frankenthal in Germany.